Kanakadasa Jayanthi celebrates the birth anniversary of Saint and Poet Kanakadasa, one of the greatest social reformers of Karnataka and who is equally noted for his musical compositions. In 2019, Kanakadasa Jayanthi is on November 15. He belongs to the Haridasa literary movement, which composed songs in praise of Lord Krishna and other incarnations of Lord Vishnu. This year it is the 521st birth anniversary of Saint Kanakadasa. From a young age Kanakadasa had to bear the brunt of the notorious caste system and untouchability and he fought against the evil through his poems, which exposed the futility of external rituals and stressed the need for promoting of moral values in life. Poems of Kanakadasa dealt with every aspect of life and he was highly critical of the caste system. In one such poem, Ramadhanyacharite, he suggests that the difference between the higher and lower castes is similar to the difference between rice and millet. Rice is used by high caste people and for religious rituals. Millet is the staple food of the poor. But Millet is much higher in status in the eyes of God (Lord Ram). Great Bhakti poet, philosopher, musician, social reformer, composer are some of the titles often associated with Kanakadasa. A society like ours, which has lost its moral values and is divided on communal and caste lines, more than ever before, need the message and teachings of the social reformer Sri Kanaka Dasaru. It is annually observed on Kartik Krishna Paksha Tritiya tithi or the third day during the waning phase of moon as per traditional Hindu lunar calendar followed in Karnataka. Kanakadasa was an ardent devotee of Sri Krishna from a young age. 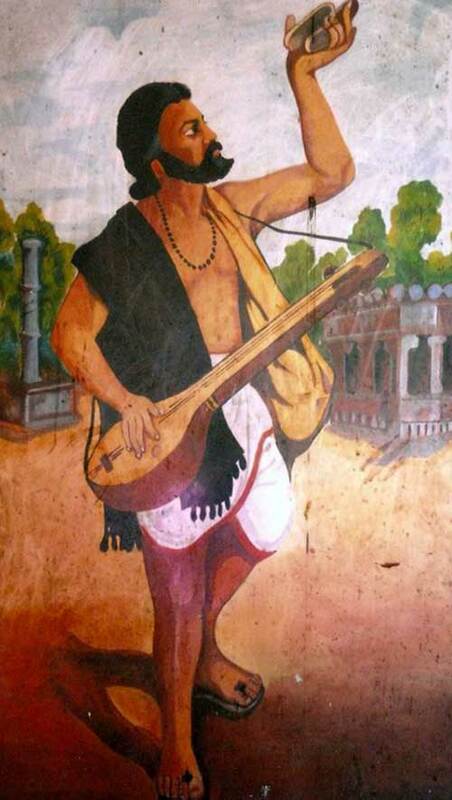 Kanakadasa once came to the famous Udupi Sri Krishna Temple but was denied entry, because of his low caste. He went to the rear of temple and prayers. As a result of his prayers, the murti of Bhagavan Sri Krishna in the temple turned towards the direction where Kanakadasa was standing and the temple wall collapsed enabling Kanakadasa to have darshan of Lord Krishna. Even today the opening is called Kanaka’s window at the Udupi Sri Krishna Temple.